The plans have been revised and improved throughout and the coverage has been extended to include large scale detail for key areas including Lorient and the Gironde. 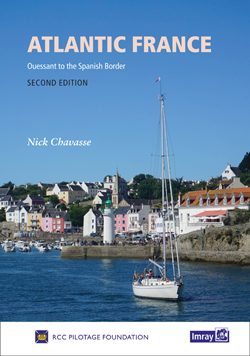 Coverage of the Brittany coast west from L'Aberwrac'h, so often the gateway to the Chenal du Four, is now extended to include the islands of Ouessant and Molène. Many of the new photographs are on-the-water images which are invaluable to the navigator, but this edition also continues to benefit from Patrick Roach’s unique and informative aerial coverage.